Combining cosmopolitan chic and quaint laid-back elegance, Hydra island in Greece is located close to Athens. Just two hours away, an Athens day trip to Hydra is the perfect way to experience this charming and unique island. Hydra is one of the Saronic islands located in the Aegean sea. Due to its reasonably close location with Athens, it has long been a weekend destination for wealthy Athenians who have second homes there. It's also a popular place for tourists to visit, particularly during the summer months. If you are staying for a few days in the Greek capital you might want to consider visiting Hydra as one of your day trips from Athens. The island's charms are immediately apparent on arrival. Traffic is banned in the main town, building restrictions have meant that Hydra's architecture has been preserved, and there is something of a yester-year feeling. Many people visit for a day, but want to spend much longer! There are several ways to visit Hydra on a day trip from Athens. You can either take an organised tour, or arrange ferry tickets to the island yourself. 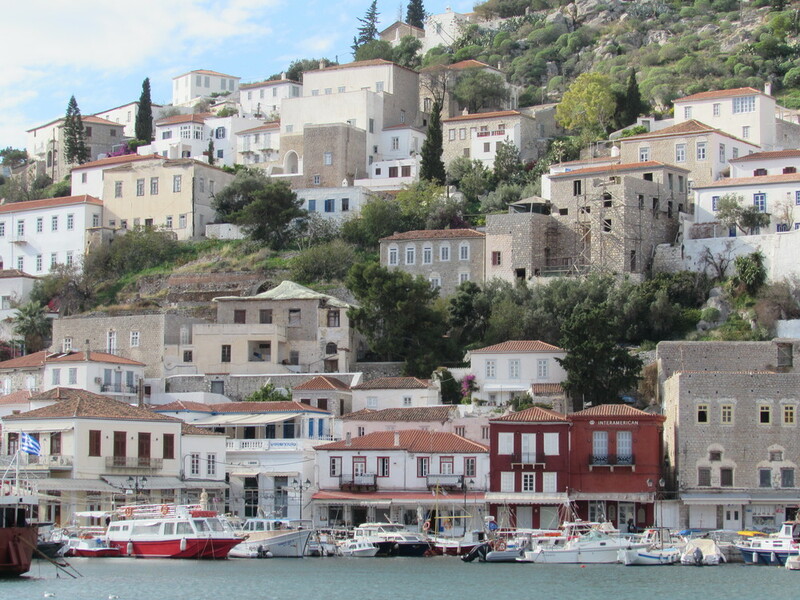 This article should have all the information you need to plan a trip to Hydra. If I've missed something out and you still have questions, leave a comment at the end and I'll get back to you! Ferries to Hydra leave from the main port of Piraeus just outside of Athens. 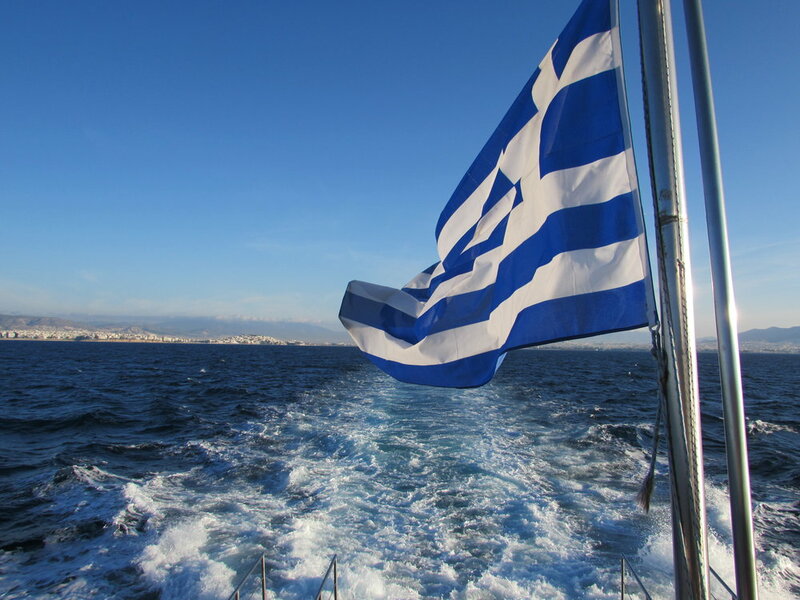 There are two official crossings from Athens to Hydra in 2018. One is the vessel known as The Flying Dolphin, the other is known as Flyingcat6. You can find out more information on the Hydra ferry schedules by visiting the Hellenic Seaways site. Crossing times for both ferries are less than two hours. It's important to remember that no cars can be taken over to Hydra! Although a slightly more expensive option, an organised Athens day trip to Hydra may be convenient for some people. Organised tours to the island include a pick up and drop off from your hotel in Athens, and you know that you have a ferry ticket reserved in advance. Visit the Historical Archive of Hydra – An interesting museum which puts on art exhibitions, festivals and seminars during the summer months. Visit the Koundouriotis Mansion – Includes heirlooms of the Koundouriotis family such as weapons, woodcarvings, paintings and jewellry. Hiking – Whether walking through the streets of the main town, or using the paths that criss-cross the island, there's plenty of possibilities for stretching your legs! Watch the world go by as you drink a frappe at the port cafes! If you decide to extend your Athens day trip to Hydra and want to stay a night or two, here are a few hotel recommendations. I've included links to Tripadvisor so that you can check out others traveller's reviews! Phaedra Hotel – Featured in Rick Steves' Greece travel book, this charming hotel gets good reviews due to its location and Hilda, the friendly owner. People also rate this hotel highly because of the breakfast – It's always good to start a day the best way! You can find Tripadvisor reviews here. 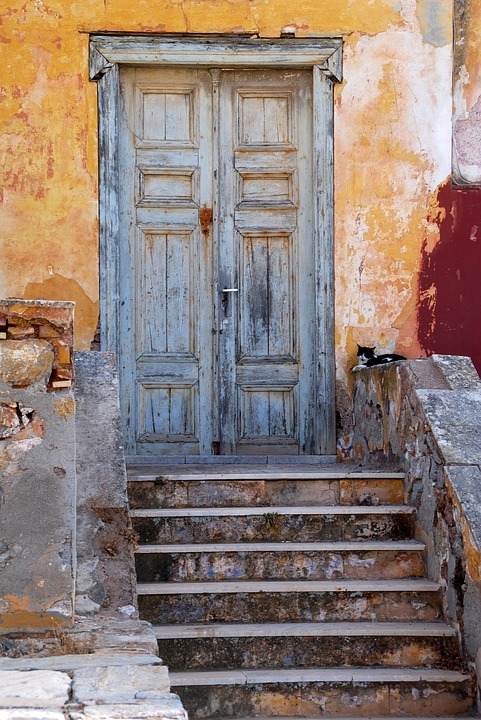 Cotommatae Hydra 1810 – 92% of guests rate this as excellent, this boutique hotel has 8 rooms, which are lovingly looked after. Many guests say that they never want to leave! A perfect retreat for a day or two when staying on the Greek island of Hydra. You can find Tripadvisor reviews here. Hotel Mistral – A friendly, family run hotel. Guests often comment on the impeccably clean rooms, and the breakfast. Within walking distance of some good restaurants on Hydra, this is one of the more popular places to stay in the island. You can read some Tripadvisor reviews here. An interesting alternative to a day trip to Hydra from Athens, would be to take a 3 island cruise instead. This is really only possible by taking an organised day trip, but is a great way of seeing 3 islands in one day on a cruise from Athens. 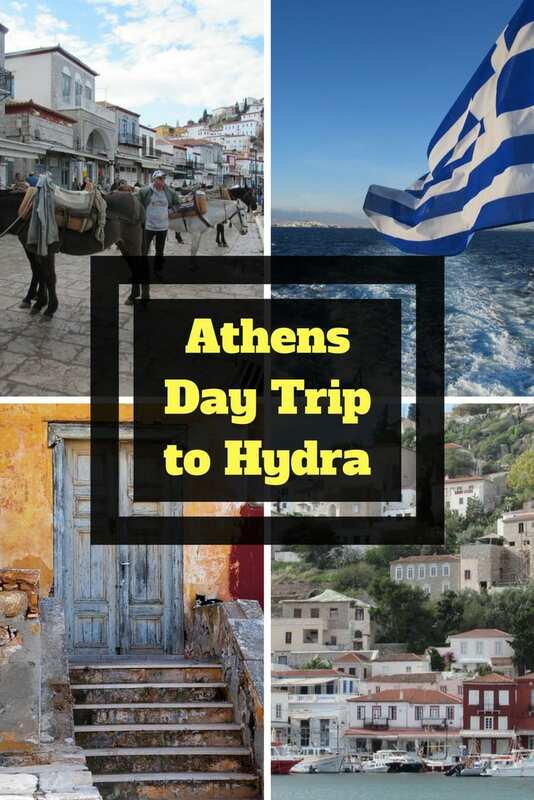 If you use Pinterest to plan your vacations, please pin this guide to an Athens day trip to Hydra for later! You might also be interested in finding out about more tours in Athens. Only have limited time in Athens? This guide to sightseeing Athens in a day will be useful. You are correct in there are no cars allowed on Hydra. (Actually as far as i know there are only 3 vehicles – the trash collector, an ambulance, and a fire engine – I’ve never seen them though!). I know the Rolling Stones and Pink Floyd have either hung out or visited – not sure about Leonard Cohen however! Thank you for the helpful page. Are there any beaches on Hydra? yes there are beaches and swimming spots on Hydra, but in all honesty they are not the best. You’ll find others on there as well. Ugh! 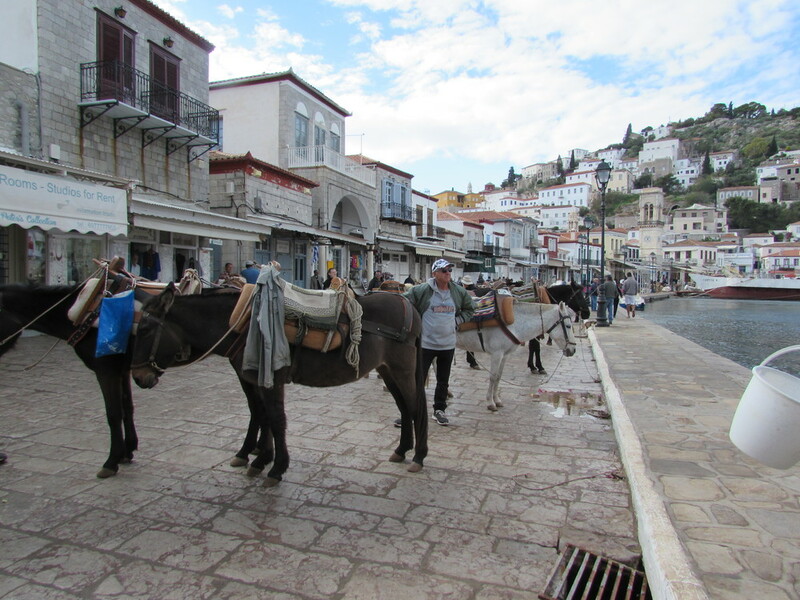 We could have done this trip to Hydra when in Athens – and we didn’t! Just the door makes me hurt a little inside when I think about missing it! 😀 Thanks for sharing!